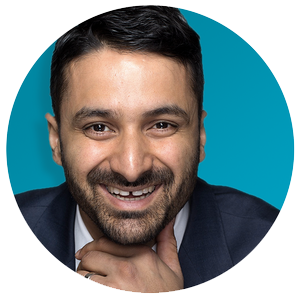 When he was just twenty-six years old, Sam Cawthorn’s life changed forever. A terrible car accident cost him his arm, left him in a coma, and put him in a wheelchair for the rest of his life—or so he thought. Today, Sam is one of the most successful motivational and inspirational speakers around, addressing some 100,000 people around the world each year, from some of the world’s biggest companies. Sam’s recovery was more than just a bounce back to where he had been before the accident. Instead, he used his accident as a launching pad to bounce forward to reach even greater heights than before. Now, Sam uses his own story to share the secrets of both personal and corporate turnarounds, how to use adversity as a springboard to greater heights not just for individuals, but also for companies and teams. Sam speaks to bankers, salespeople, leaders, corporate executives, government workers, students, and anyone else who faces challenges and setbacks every day. 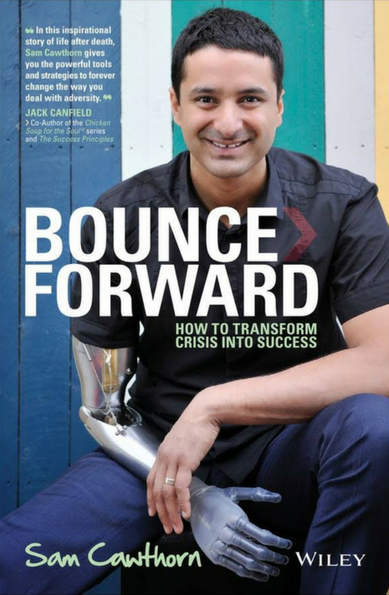 In Bounce Forward, Sam shares the tools, strategies, and psychology that anyone can use to overcome any obstacle. If Sam can bounce forward from the accident that nearly took his life, there’s almost nothing that you can’t overcome. No matter what kind of challenge you face—in the office, at home, or even in your own heart—Bounce Forward gives you the insight you need to climb higher than ever before, in business or in life.